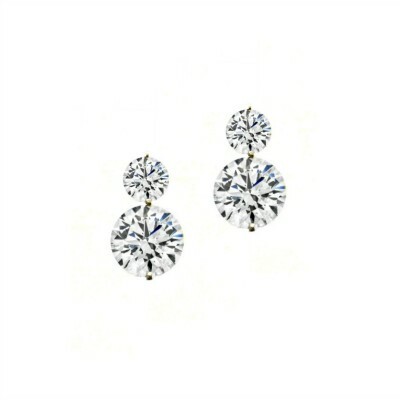 The Blair earring is a super-cute, high-quality earring that replicates real diamond jewellery Featuring AAA-Grade Cubic Zirconia stones (simulated diamonds) set into Sterling Silver. A timeless and flattering design that will never go out of date.&nbs.. The Carlie bridal earring is a gorgeous, intricately-detailed earring Perfect for your wedding day or other special occasion. 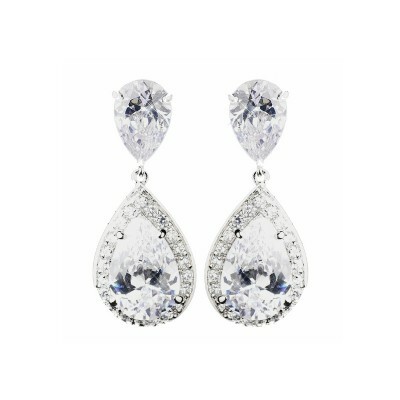 This delicately designed earring features an assortment of AAA-grade Cubic Zirconia stones set into a teardrop frame. Beautifully spa.. 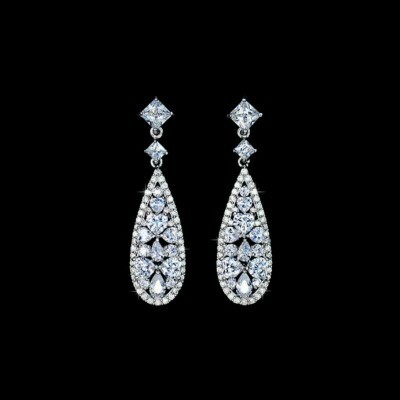 The Freja bridal earring is a lightweight and timelessly earring for your wedding or other special occasion Perfect for classic to vintage wedding looks Features AAA-Grade Cubic Zirconia stones (simulated diamonds) and rhodium plating to resist tarnishing. The Frej.. The Kate bridal earring is a timeless and classy choice for your wedding or special occasion This beautifully-crafted earring suits vintage through to contemporary bridal looks. Perfect with cocktail wear, black tie, date night and more. 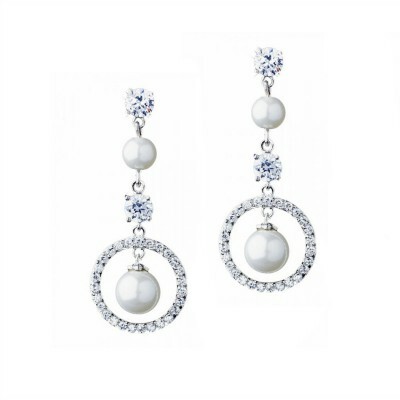 This bridal earring is lig.. The Marian bridal earring is a sophisticated "couture" style earring A versatile and flattering earring with timeless appeal Features a Cubic Zirconia centre stone framed by two rows of finely-set stones. This stunning design is easily matched to nu.. 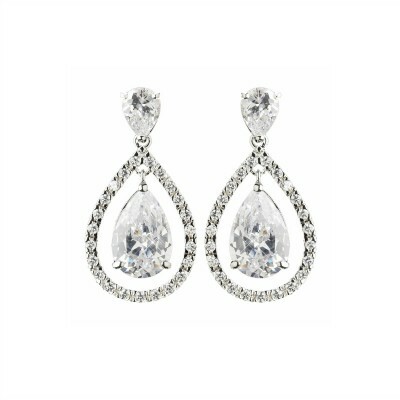 If you have been searching for that stunning (and super sparkly) earring to wear to your wedding or other special occasion then you have found it with Glamadonna's 'Melissa' earring. Completely classy and classic, you'll feel nothing less than gorgeous entering the room in these eye-cat.. This earring is delicate yet bold, delicately-designed and expertly-crafted This bridal or special occasion earring suits your black tie ball, wedding, or other formal occasion. Lightweight and flattering to all face shapes Features AAA-Grade Cubic.. 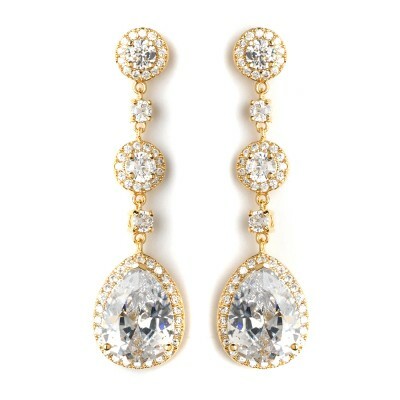 Bridal earrings come in many designs and types, but you can be assured of finding the perfect pair in our collection! 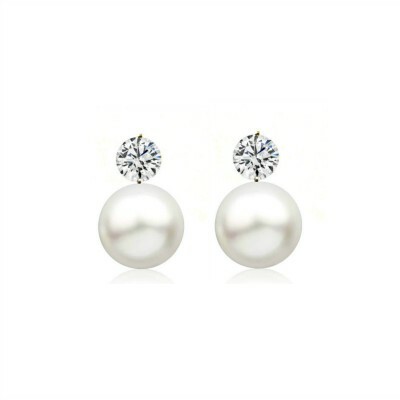 Encompassing everything from small and dainty pearls, through to bold and brilliant statement bridal earrings, we promise to have the perfect pair of bridal earrings for every bride. 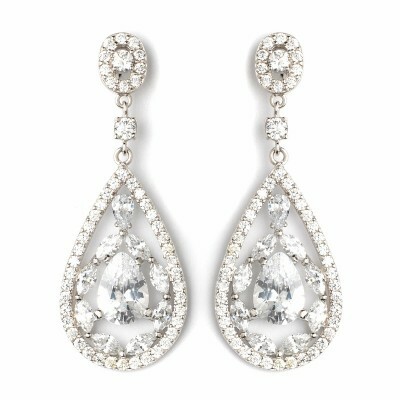 Our bridal earrings feature a range of premium materials that will help further beautify your wedding day outfit. 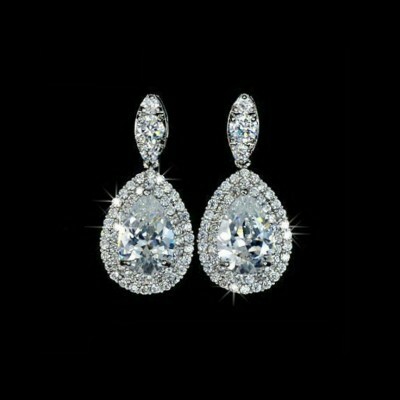 Effortlessly versatile and always flattering, our bridal earrings are designed to be worn time and again after the wedding day has passed. Select from classically-designed studs, chic drops and statement dangly earrings. Browse our collection of bridal earrings now, then match your favourites with a bridal bracelet and bridal headpiece for ultimate effect.